Make your reservation online today and save up to 64% with exclusive insider pricing. Tickets start at just $25/pc before taxes and fees. 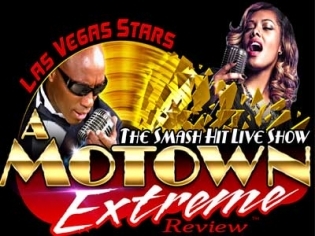 See Motown Extreme for just $25 per ticket. Grab this online bargain before it's gone! Step back into the era of Motown with hits performed and choreographed like a Broadway musical. It’s a high energy show filled with exceptional talent. This is a show filled with the chart-topping hits of the Jackson 5, Michael Jackson, The Temptations, Diana Ross and the Supremes, Stevie Wonder, Martha Reeves and Smokey Robinson. Like a live concert with the production standards of a Broadway musical, you will be clapping, laughing and dancing along with the show. The performers are extremely talented and full of energy, take note of the young man playing Michael Jackson at 13 years he is immensely talented. The venue is small and there is not a bad seat in the house. You will want to come back again and again because of the memories they evoke.